An Armenian-Azerbaijani humanitarian program to eliminate the consequences of the Nagorno-Karabakh (Artsakh) war is unimaginable in the light of the Baku authorities’ repeated threats to seize historical Armenian regions, a senior Russian parliamentarian said on Monday, commenting upon Azerbaijani President Ilham Aliyev’s belligerent remarks to “return” Yerevan. In an interview with Tert.am, Konstantin Zatulin, the deputy chairman of the State Duma committee for the CIS and relations with Russian nationals abroad, expressed also his positive evaluation of the recent meeting between the two countries’ leaders. In his words, the humanitarian programs, proposed by the co-chairs of the OSCE Minsk Group (in the recent statement), are difficult – if not impossible - to sketch under the conditions of the continuing policy of hatred. “To implement such programs, it is important to reduce the tension on the Karabakh-Azerbaijan Line of Contact,” he said, citing the unresolved Cyprus dispute as a precedent. Zatulin admitted that Azerbaijan’s aggressive rhetoric stems from the policies of that country’s top leadership. 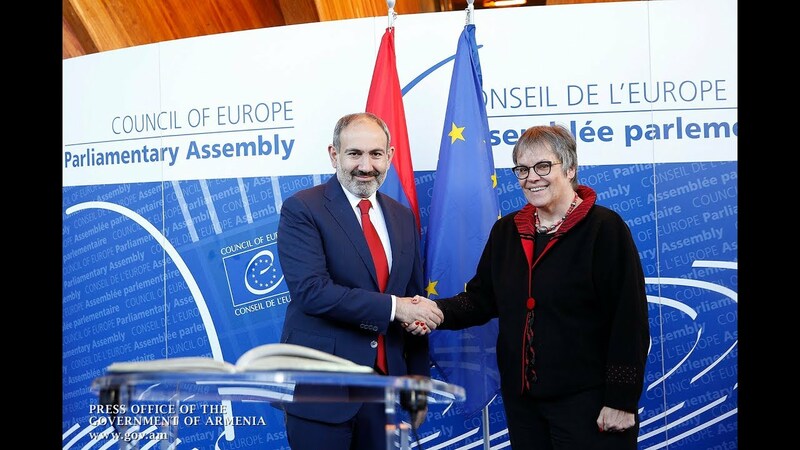 “How is it possible to implement humanitarian projects when the Azerbaijani president repeatedly voices calls for seizing not only Karabakh but also Yerevan?” he added. Zatulin also condemned the Baku authorities’ blacklisting policies as a kind of “hysteric” reaction to people who travel to Karabakh for humanitarian reasons. “All this is the result of intolerance, which hits first of all Azerbaijan,” he added. Asked when Azerbaijan can be logically expected to agree to Karabakh’s return to the negotiations, the Russian politician said treats such a process as an absolutely inevitable scenario. But he agreed that such a return would be really difficult after leaving the negotiations once. Zatulin admitted that Karabakh was excluded from the talks in the period of Robert Kocharyan’s presidency in Armenia. In his words, the country’s inclusion in the process made the negotiations more meaningful, bringing the parties closer to a conflict settlement (without guaranteeing a final breakthrough). “I don’t think time has already passed as it is still possible to return Karabakh to the negotiating table,” he added.